An exhibition of 1960s modernist toy designs by Roger Limbrick. 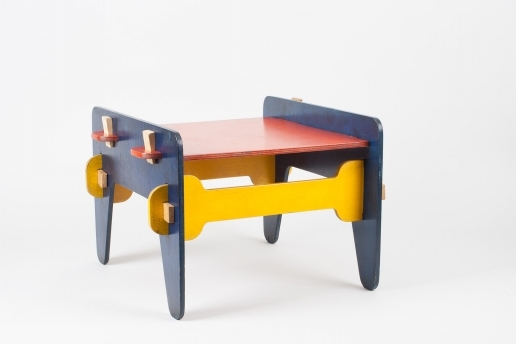 Patrick Rylands, Fredun Shapur, and Ken Garland, has opened in London. 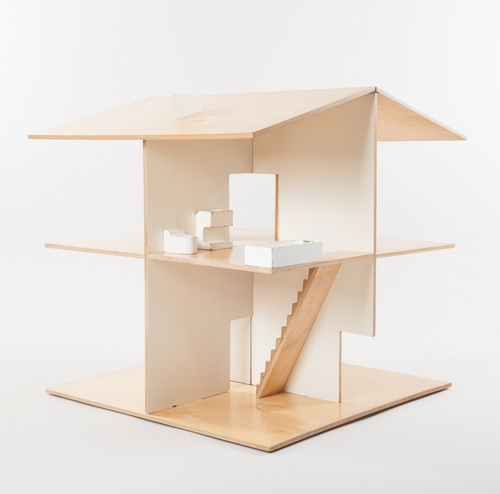 "play: toys, sets, rules" includes some "extraordinarily generous, humane and beautiful objects" which grew out of their designers' "radical project to transform social life by altering two of its fundamental categories, education and work." These objects, write the curator/designers from system, are "now largely forgotten." Well. play seems to be the first project for systems, whose members all seem too young to have forgotten anything. I'd call it a mix of great-looking classics and unknowns. 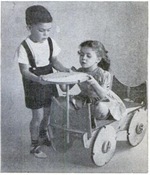 The show includes icons like Limbrick's original 1963 Open Side Dolls' House [above], which was first produced in the UK by Galt Toys, and which was distributed in the US by Creative Playthings. And there are these slot-together chair and stool prototypes Ken Garland made in 1965. 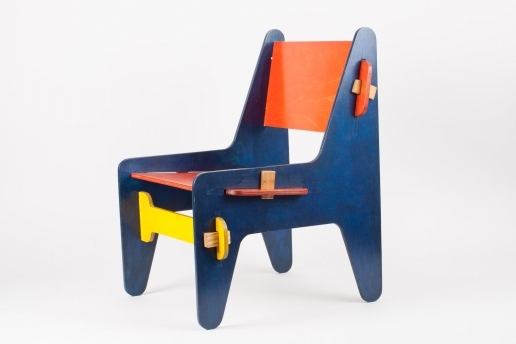 Called Plytek, they look like a Pop reimagining of Hans Wegner's Peters Chair & Table. Or maybe Wegner's 1944 wedged mortise & tenon design had been long forgotten by then. Anyway, it all looks fantastic, and there's apparently a documentary in the works, too, so stay tuned.